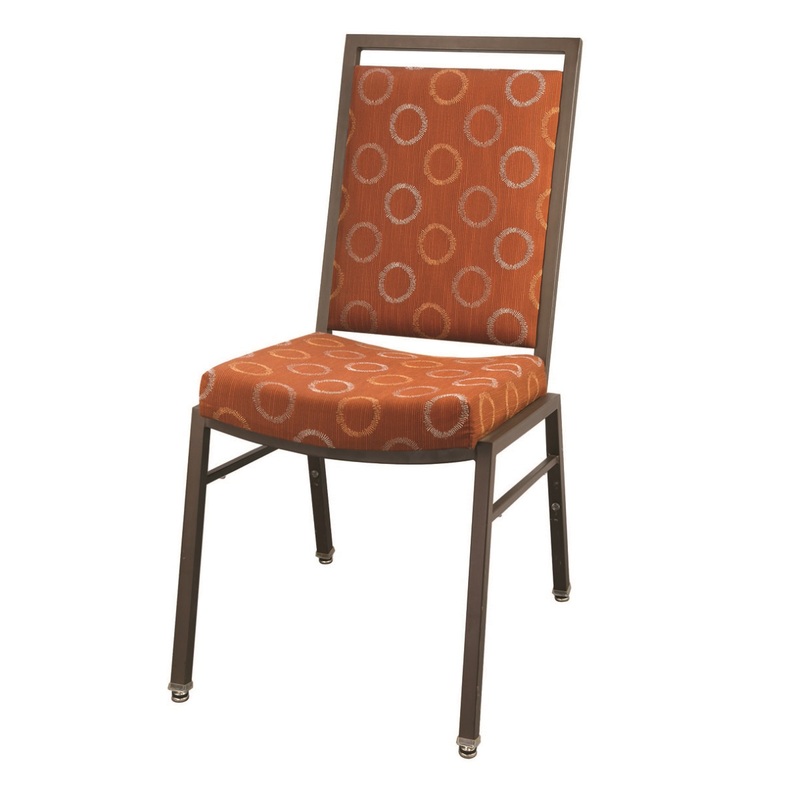 The steel banquet collection features heavy-duty 16 gauge, rust protected steel in rounded traditional styles. Available in a variety of powder coatings and faux wood finishes for frame, and 20 vinyl colors and 30 fabric patterns/colors for upholstery. Three standard hand-hold options are available. A premium hidden elipse is also available. Solid in front, elipse in back (not shown). Choose from three different styles for the bottom area of the seat back. Downward arc is standard. Not available on styles with metal framed back bottom.